Envision a mouse trying to solve a maze for a piece of cheese, and he has to decide which way to turn at the first cross-section. He takes a look at the three possible routes, thinks for a bit, then turns a sharp left and ran. 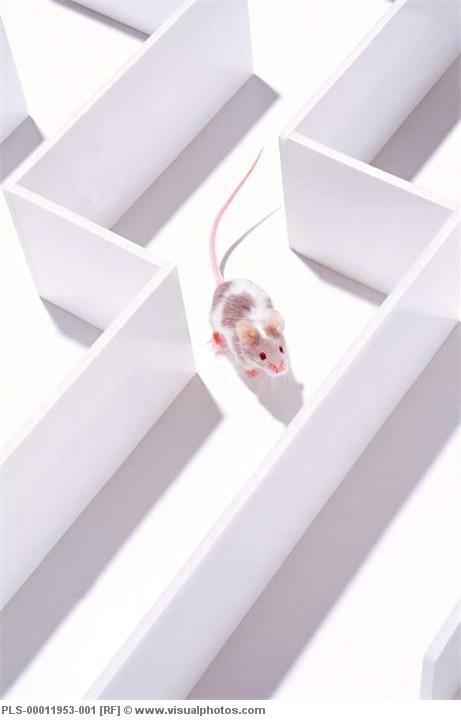 In a complex labyrinth, the mouse would most likely reach a dead-end by blind guessing. A regular mouse might get confused (where’s my cheese?!). A smart mouse might think “well that’s all wasted effort, let’s start over” and start again from the beginning. But a smarter mouse might try to backtrack as little as possible, by going back to the nearest intersection and making a different turn. In computer science, one of the most basic algorithm you learn is called “greedy algorithm.” A greedy algorithm is easy to write. If you need to generate a table of 10 decisions, you only need to information available to you and make a calculation for the first decision. Then you look at the information available and calculate the second decision. The decision you’ve already calculated so far don’t matter – what matters is your next best decision. Calling this algorithm “greedy” is probably unfair. After all, it is the computational equivalent of carpe diem. In economics and management theory one of the most basic ideas you learn involves sunk cost. Economics professors proudly teach that sunk costs don’t matter. Sunk cost is sunk. Take it out of your equations. What matters is your next best decision. This is the economist’s version of carpe diem. While studying the fallacy of overweighing sunk costs make for an excellent debate on “why Microsoft won’t give up on Windows,” it’s not always a relevant analogy for all decisions. A failed effort that took 80 hours of work is not necessarily more worthwhile to save than a failed effort that took 3 hours of work. But why did you spend 80 hours doing one project but only 3 hours on the other? Did time just seem to fly by when you do one but seem to last forever in the other? Did one seem to leave more incomplete pieces, pieces that are only worthless in the current project but can be pure gold in the right context? That’s the learner’s version of carpe diem. This entry was posted in Figure Stuff Out and tagged decision science, economics, seize the day, sunk cost. Bookmark the permalink.